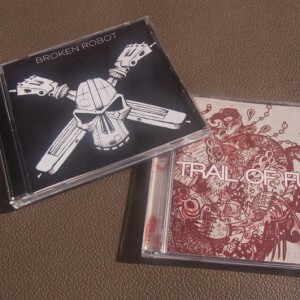 We’ve got 2 new EPs due out on August 8th, 2011: Gaia13‘s Trail of Funk Remixes, and the Broken Robot EP. And this fall watch out for The RA-100 EP from Cold Fusion & Jamie D… Then later this winter we’ve got Music for Robots, a full-length mix cd mixed by Jim K himself. There are also new EPs in the works from Borja and Kid Droid, with new tunes from both and a few remixes as well. We’ll be announcing more details in the next few weeks with plenty of audio previews and music videos, so stay tuned here or on our Facebook and Twitter pages.